Wait until the car has been sitting idle for three hours or more. Put the tire pressure gauge into the tire valve stem. Compare the pressure (PSI) measured on the tire pressure gauge to the recommended tire pressure indicated on the sticker on the driver’s door or in your owner’s manual. Inflate or deflate air until it matches the recommended PSI. 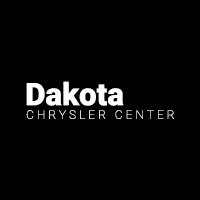 At our Chrysler service center in Wahpeton, you’ll find a full team of factory-trained and certified technicians here to help you out with tire rotations and tire replacements, as well as other Chrysler maintenance, repairs, and Mopar® parts. We’re located just a short drive from Fargo, and you can contact our service team at (701) 353-0453. While you’re here, check out our guide on how to remove smoke smell from upholstery. 0 comment(s) so far on How Do You Check Tire Pressure?